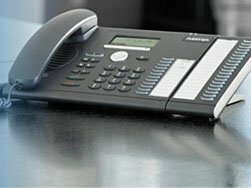 The latest figures released by analyst firm MZA have shown that the Corded PBX market (excluding Micro PBX products) increased by 16% in Q2 2010 compared to Q2 2009 at a global level. Avaya continued to lead the world PBX market, growing market share from 13% in Q1 2010 to 15% in Q2 2010. NEC is banking on the world’s first chip that combines signal processors with memory that controls graphics, audio and other functions to double its sales of Blu-ray hardware in the next two years. The company expects the EMMA3PF chip to raise its revenue from Blu-ray products to US$378 million in the year ending March 2011. NEC plans to increase its share of Blu-ray products by offering deep price cuts, which other companies have started and are necessary for the market to grow.